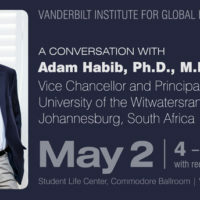 As Vanderbilt plans for its growth over the next decades, what are the core philosophic and humanistic values that should underpin its major building projects? How will the principles articulated in Vanderbilt’s Academic Strategic Plan manifest themselves in physical form, whether that involves rethinking classroom design or how future walkways are planned? Can Vanderbilt coordinate its campus development alongside Nashville, or should each go it alone? 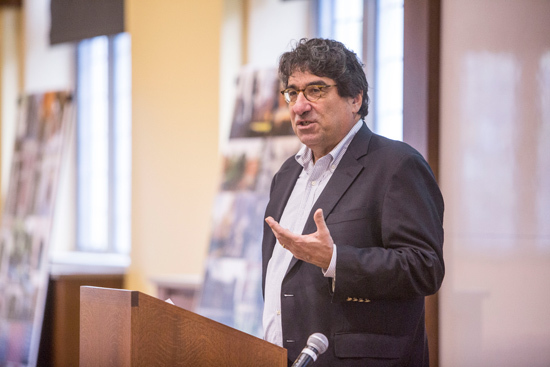 These were the types of weighty questions discussed by faculty, administrators and other members of the campus community at a Nov. 2 symposium led by Chancellor Nicholas S. Zeppos to usher in a yearlong land use planning process that will include an ongoing series of forums and discussions with a broad cross-section of Vanderbilt stakeholders. Senior members of the New Haven, Connecticut, architectural firm Pelli Clarke Pelli, which Vanderbilt hired to create its land use plan, attended the Nov. 2 event. 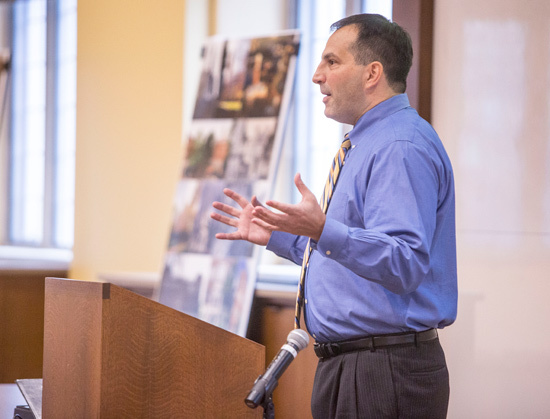 Fred Clarke, senior principal and a co-founding member of the firm, said Vanderbilt was the first university he has worked with that started its land use planning with a public discussion of how its mission and values relate to its physical campus. 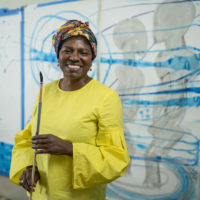 Faculty representing a range of disciplines—from theatre production and African American literature to art history and education—offered presentations that addressed various approaches to thinking about how physical space, planning and learning influence and affect each other. 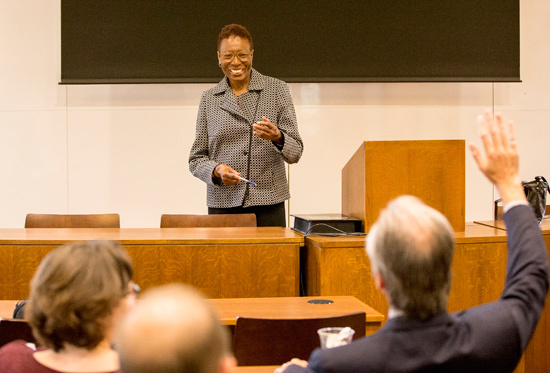 Acknowledging that her lecture did not address planning specifically, Hortense Spillers, Gertrude Conaway Vanderbilt Chair in English, said Vanderbilt belongs to the second American Revolution that arose in the wake of the Civil War. And unlike earlier universities, which addressed the needs of the aristocracy, schools like Vanderbilt, founded in the mid- to late-19th century, addressed the needs of an expanding nation. “This is Vanderbilt’s shared natal experience,” Spillers said, suggesting that the university’s history should continue to inform its future. 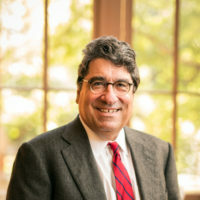 Similarly, Kevin D. Murphy, Andrew W. Mellon Chair in the Humanities and chair of the art history department, offered a survey of campus architecture spanning from Thomas Jefferson’s “academical village” at the University of Virginia to the creation of a concrete modernist masterpiece at Harvard. “Universities have been, and should continue to be, leaders in terms of preservation of design as well as incubators of architectural design,” Murphy said, adding that the best land use planning efforts take into consideration how new and old buildings relate to one another. 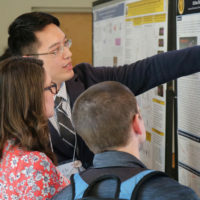 Eric Kopstain, Vanderbilt’s vice chancellor for administration, said the Nov. 2 symposium was never meant to be a session in which participants study campus maps and discuss building priorities (much of that will come later). Rather, Kopstain hoped to tease out a framework that will guide campus planning activities in the months ahead. “Over the course of about a full year’s worth of time, we will be involving a wide range of stakeholders in this process, both internal and external,” Kopstain said. He highlighted three main reasons why Vanderbilt has chosen to undertake the land use plan now: Nashville’s rapid development, the upcoming separation from Vanderbilt University Medical Center, and the adoption of the university’s Academic Strategic Plan. “What we’re talking about in the process is how we think about our campus and its geography as a core part of our strategy,” Kopstain said. The next public forum to discuss the land use plan will be at a town hall with Zeppos on Monday, Dec. 7, from 9:10 to 11 a.m. The location of the town hall will be announced prior to the event.